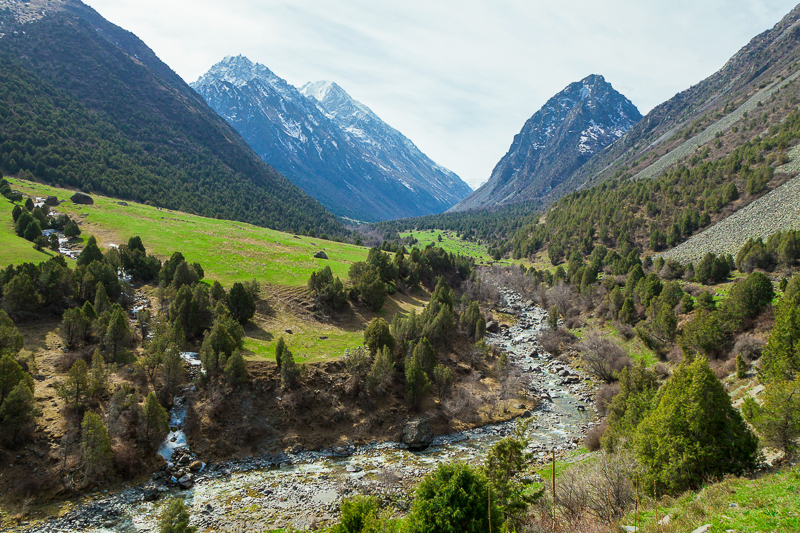 The valley of Ala-Archa river is one the most picturesque sights of Bishkek surroundings. Here, in the narrow valley of ordinary small river you may see a concentration of wonderful, stunning landscapes, waterfalls and amazing rocks. 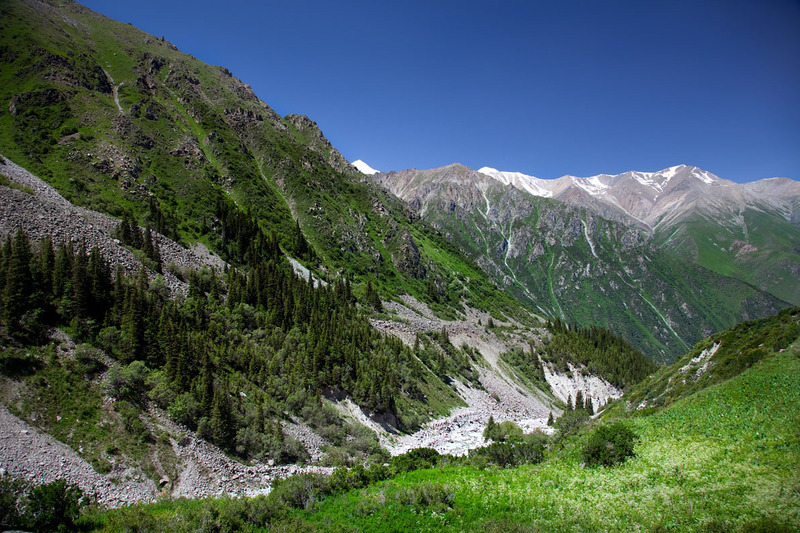 Here is unexpectedly rich flora and fauna, so that many people suppose this region to be a symbol of Kyrgyz ridge (Ala-Too). 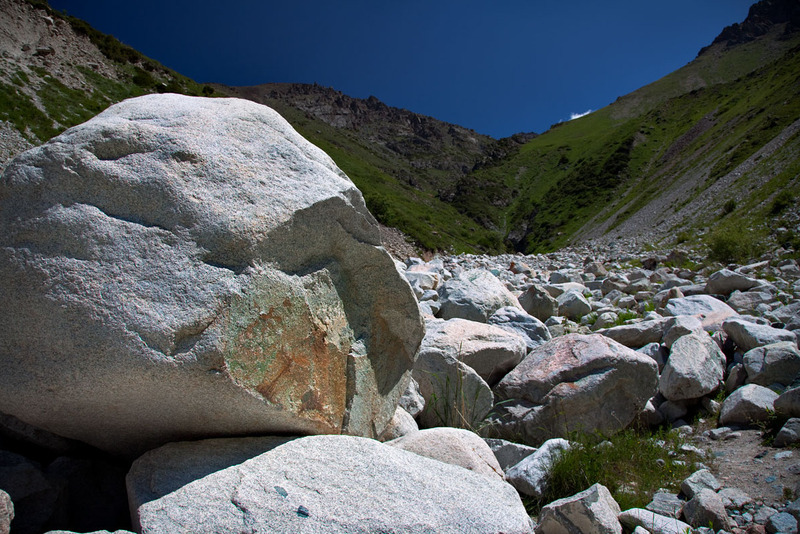 The Ala-Archa gorge is located in a central part of Kyrgyz ridge in 30 km to the south of Bishkek. Its length is over 35 km. 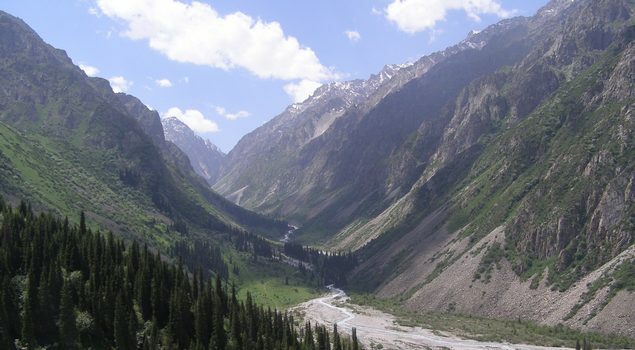 It is the huge gorge among all gorges of the Kyrgyz ridge. 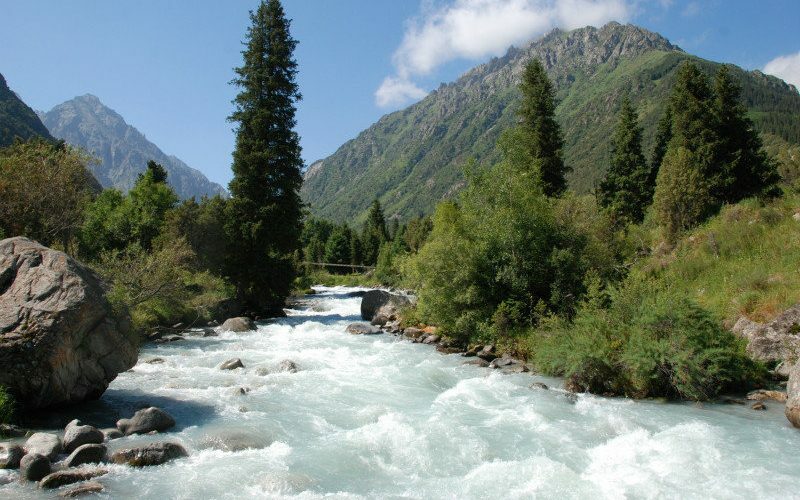 There is a Kyrgyz National park, called Ala-Archa on the territory of the gorge. 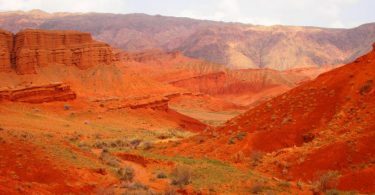 It was founded in 1976 on the north slope of central part of Kyrgyz ridge. This place is attracting first of all because of its accessibility. There is a good asphalted road going to the park. It allows to leave noisy city and to reach this wonderful place in 40 min. 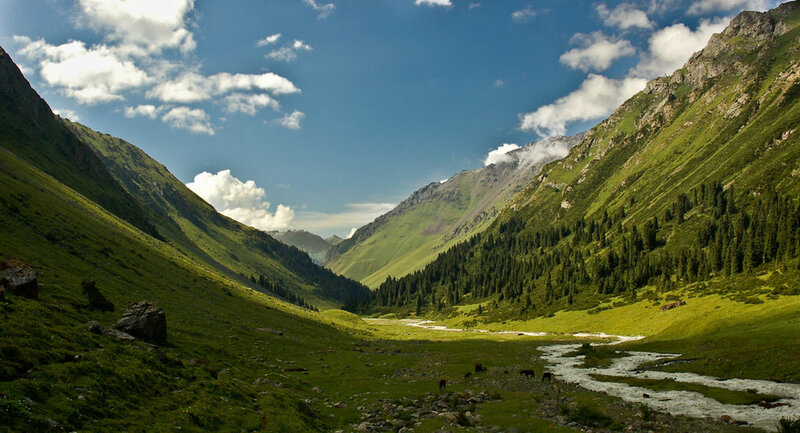 In summer time you can hide here from city’s heat and vanity in a shadow of tienshan fir trees, enjoying snow tops. In winter time you can plunge into real winter fairytale. Just above alpine camp on the right side there is a beautiful gorge called Ak-Sai. Its north slope is covered with tienshan fir trees. There is a beautiful path leading to Ak-Sai glacier with its stunning icefall. Further it goes to Ratsek hut – a base camp of numerous alpine expeditions. 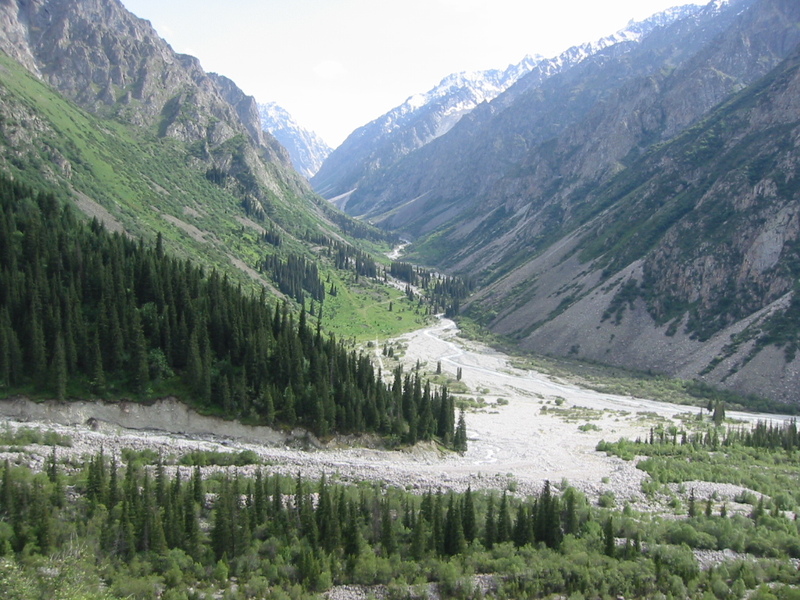 Second, which can be recommended for visiting is a larch grove on northern slope of the Adigene gorge. Many years ago an alpine memorial cemetery appeared in this place. 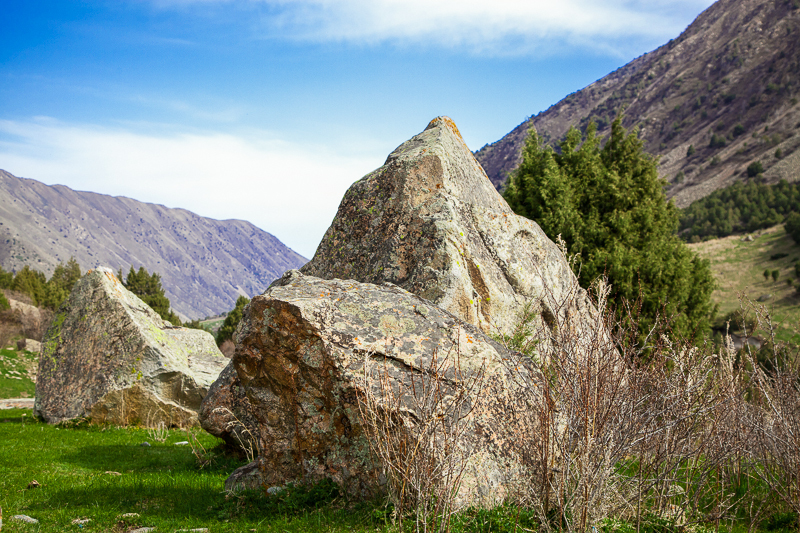 Here you may honor people who left their hearts in the mountains forever. En-route to the memorial cemetery you will see wonderful panorama of shining snow tops of Aksai circus: Korona peak(4860 m), Teke-Tor peak (4480 m) and highest point of the ridge – Semenov Tienshansky peak (4895 m). 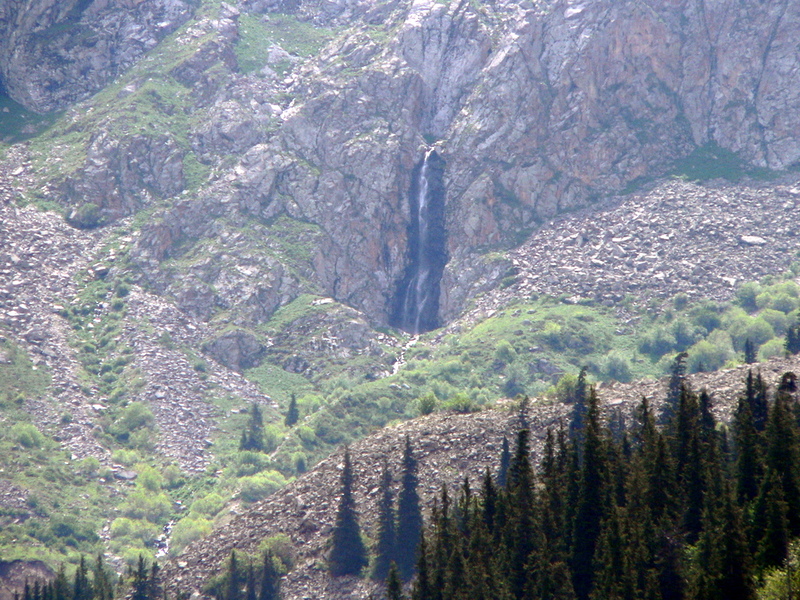 Walking in the Adigene gorge will give lots of pleasure. Moreover, you have a possibility to make two-day long climb of Adigene peak (4393 m). 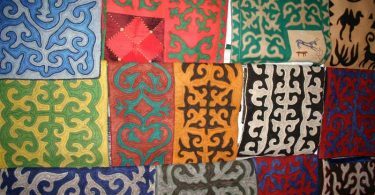 For those who are not interested in climbing of mountain summits, Ala-Archa gorge can also offer a lot of interesting things. For example, a wonderful walking to the waterfall which will give you lots of emotions. Lovers of horseback riding trips may enjoy horse riding in the upper of the gorge along the bank of crystal-clean river. Those who don’t like activities can simply enjoy a picnic in a beautiful valley with a view of shining tops covered with snow and glaciers.